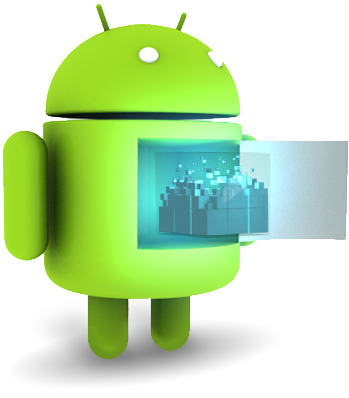 Google’s Android operating systems roll out exciting new features in its every new versions. Android 4.0 (Ice Cream Sandwich) is the latest version of the Android platform SmartPhones and Tablets.Android Smart Phones and Tablets have easy multitasking, rich notifications, customizable home screens, resizable widgets, and deep interactivity — and adds powerful new ways of communicating and sharing.Huge number of Android phones in the market may confuse the peoples who want to buy the best Feature-rich Androids That Won’t Break the Bank.so that we have compiled the best top Android phones with price range under RS.5,000 up to costliest phones in the year 0f 2012 here. 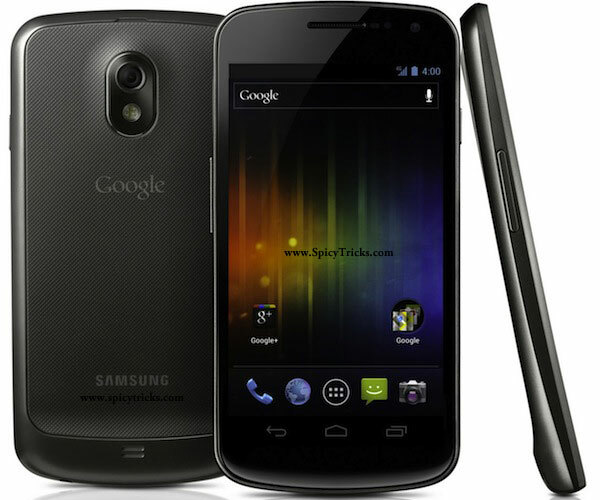 Samsung Galaxy Nexus is the first Smartphone to have Android 4.0 ICS Operating System. 5 megapixel rear camera (with LED flash), a 1.3 megapixel front-facing cam, 1080p video recording and playback, a newfangled panorama mode, a 3.5mm headphone jack and Bluetooth 3.0. You’ll also find USB 2.0, 802.11a/b/g/n WiFi, an embedded NFC module, accelerometer, compass, gyro, proximity sensor and even a barometer — yeah, a barometer. And it has the memory of 1GB of RAM, 16 or 32GB of internal storage space and a 1,750mAh battery. Price In India : Samsung Galaxy Nexus is available in India for the price of INR 43,500 onwards. Price In USA : Samsung Galaxy Nexus in USA costs 936$. Samsung Galaxy Note smartphone is, like a digital memo pad, a medium-size reader, and a great photo companion. It is, is a very large Android 2.3 smartphone which is the largest on any phone till date. It has 5.3 inch (1280 x 800 pixels), 285 PPI HD Super AMOLED display . It runs on Android 2.3 (Gingerbread). It has advanced pen-input technology, called the S Pen for sketching and artwork. It is 9.65mm thick and weighs 178g. It has 8 MP camera with LED Flash that could record 1080p HD videos at 24~30fps and play videos at 1080p and has 2 MP front facing video calling camera. The connectivity features include WiFi 802.11 b/g/n with WiFi Direct, 3G HSPA＋ at 21Mbps, Bluetooth v 3.0, A-GPS and NFC (optional). 16GB internal memory that is expandable up to 32GB with MicroSD and an 2,500mAh battery. Price in India : Starts at Rs 29999. 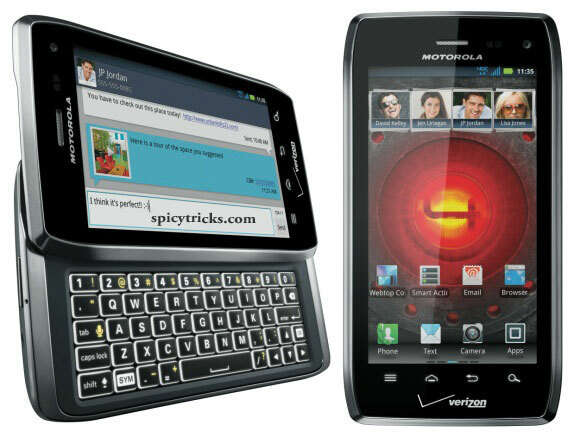 Motorola’s Droid 4 is a dual-core, 4G LTE Android slider phone with a Side Slider QWERTY keyboard. Droid 4 runs on Android 2.3.5 (Gingerbread) platform. CDMA800, CDMA1900, LTE B13 Networks supported. It has 4.0-inch display (540 x 960) which is a TFT LCD screen. 1785 mAh Li Ion which powers up to 750 min talktime continuosly. $549 without any contract. $199.9 with 2years contract. 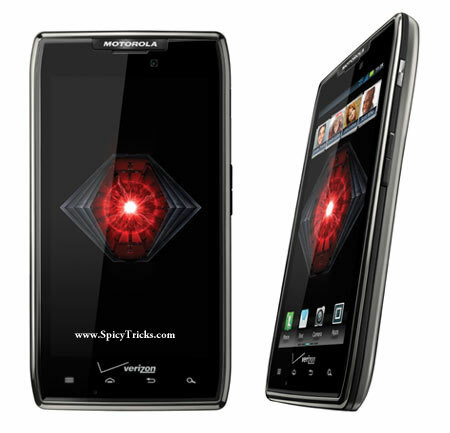 Motorola Droid Razr Maxx has a slim, attractive, and durable design with the same gorgeous display, 1.2GHz dual-core processor. It has an 8.99mm slim body, the device claims to survive 21 hours on a single charge. Loaded with a total memory of 32GB, the offering is aimed at users who engage in constant multitasking. CDMA800, CDMA1900, CDMA2000 1xEV-DO, LTE 700 MHz Class 13 Networks supported. Super AMOLED Advanced capacitive touchscreen, 16M colors which has 540 x 960 pixels, 4.3 inches (~256 ppi pixel density) display. Internal memory of 8 GB storage, 1GB RAM and can be extended upto 32GB. 8 MP camera , 3264×2448 pixels, autofocus, LED flash. $549 wit$299.9 with 2years contract. 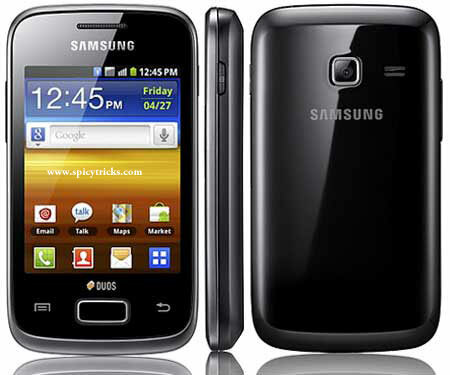 The Samsung Galaxy S II (GT-I9100) is a smartphone running under the Android OS, v2.3 (Gingerbread), planned upgrade to v4.0. 8 megapixel camera with flash and full 1080p high definition video recording. There is also a fixed focus front-facing 2-megapixel camera for video calling, taking photos as well as general video recording, with a maximum resolution of VGA (640×480). It is one of the first devices to offer a Mobile High-definition Link (MHL), which allows up to 1080p uncompressed video output with HDMI while charging the device at the same time. USB On-The-Go (USB OTG) is supported. The Galaxy S II has 1 GB of dedicated RAM (in either LPDDR or possibly DDR2/DDR3 by Samsung) and 16 GB of internal mass storage. In India Samsung Galaxy S II Costs Rs. 30,900.00. LG Optimus 2 AS680 has a 3.2 inches capacitive touchscreen display and with 3.2 mega pixel camera with autofocus. The LG Optimus 1 is one of these low budget Smart phone, and since this is getting a bit long in the tooth, LG has now launched the LG Optimus 2 is a successor to the market. The LG Optimus 2 is available in the U.S. already have some mobile service providers like C-Spire. The C Spire is selling this device with two-year contract agreement for $ 209.99 , without contract for $ 239.99. The GALAXY Y DUOS has an 832 MHz CPU and Powered by Android 2.3 Gingerbread and around 384 MB of RAM. It sports a 3.1″ touchscreen with pixel dimensions of 320×240. Other bells and whistles include a 3 MP fixed-focus camera, Wi-Fi, GPS, Bluetooth, 3.5 mm jack, 1300 mAh battery, and 32 GB microSD card support. It features ChatON, Samsung’s unique cross-platform communication service that connects all mobile users into a single community. Users can also stay connected through Social Hub, which supports email, social network integration and instant messaging, displaying all of your communication in a single inbox. 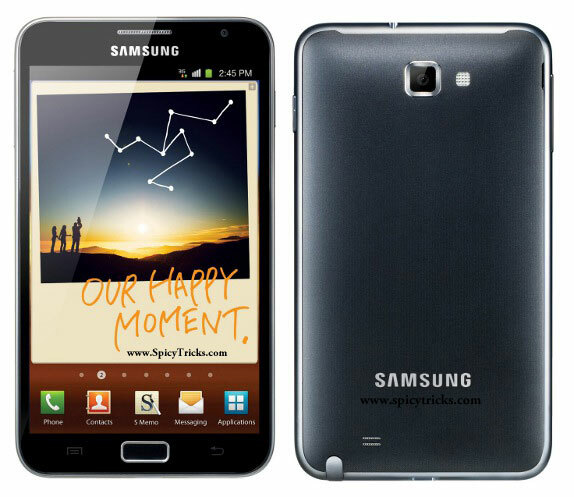 For more details and Specification of GALAXY Y DUOS here. 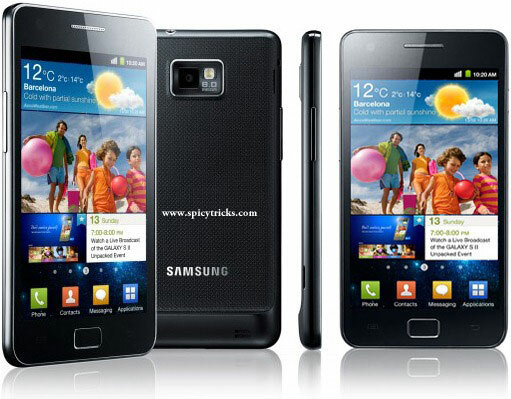 Samsung Galaxy Y Duos Price in India: Rs. 9,000 /- INR. 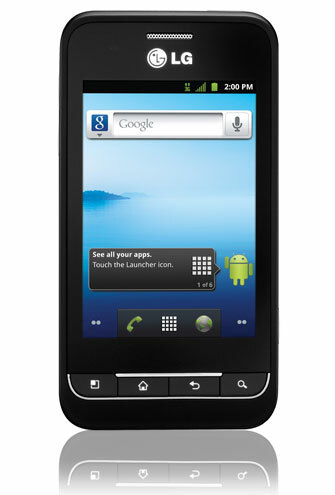 Micromax has launched the new Budget Android Phone with Dual-SIM Support named ‘ Micromax A75’. The A75 Superfone with a price tag of Rs.8,999. What you get for this money is a Gingerbread smart phone, a 650MHz processor, dual-SIM functionality, front-facing camera, all packaged in a 3.7-inch screen. 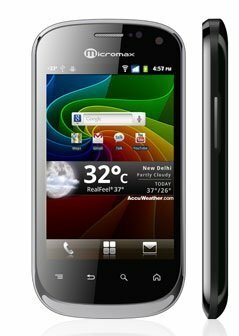 The Micromax phone provides for Dual-Standby Support, and has memory expandable upto 32GB. The A75 comes with Pre-loaded Apps like Google Voice Search and you can also perform many actions by speaking to the phone, live sending text messages, taking down notes, play music, access websites, and find directions to places. A75 also comes with NETQIN ANTIVIRUS, to protect devices from certain virus threats using this antivirus.